Yeah, I totally ate that cone bit hanging off the edge there. 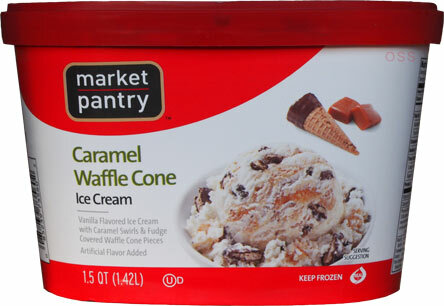 I havent had a problem with any of the target flavors and this one is no exception. Sure, it's very soft, but it's still cold and doesn't suffer from gummy texture. It's a fine store brand product that will keep the family happy (if not necessarily full). 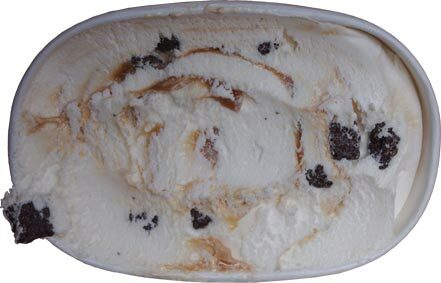 There's plenty of caramel flavor, the chocolate covered bits are nice and crunchy, and it's a fine snack. Is it Americone Dream? No, but it's not nearly as expensive either. Ok, that's all I got, this one disappeared in no time.